We made our vows, exchanged our rings, and were married here. The ceremony was solemn and joyful and deeply moving. We toasted each other from a quaich given to us by my parents, with a Gaelic blessing. Le d’mhaitheas is le d’nì bhi fàs. Thankyou, Mel and Gordon, for sharing our day with us. 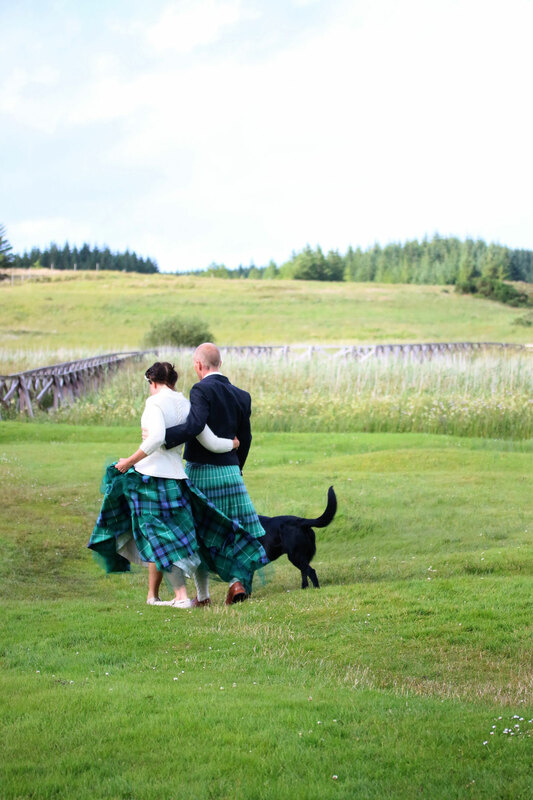 Thankyou, Lynn and everyone at the Finlaggan trust for allowing us to marry in this wonderful spot. Thankyou, Lucy, for piping so beautifully. Thankyou Sharon, for being such a warm and wonderful registrar. We couldn’t have asked for anyone better to celebrate our marriage. Thankyou, Isle of Islay. Our favourite place. Thankyou, all of you, for being there with us in spirit. Congratulations, wishing you health and happiness. You both look fabulous. Many congratulations. It all looks perfect. It fills my heart with pleasure to see such happiness. Heartfelt (if belated) well wishes from the other side of the North Sea to both of you! 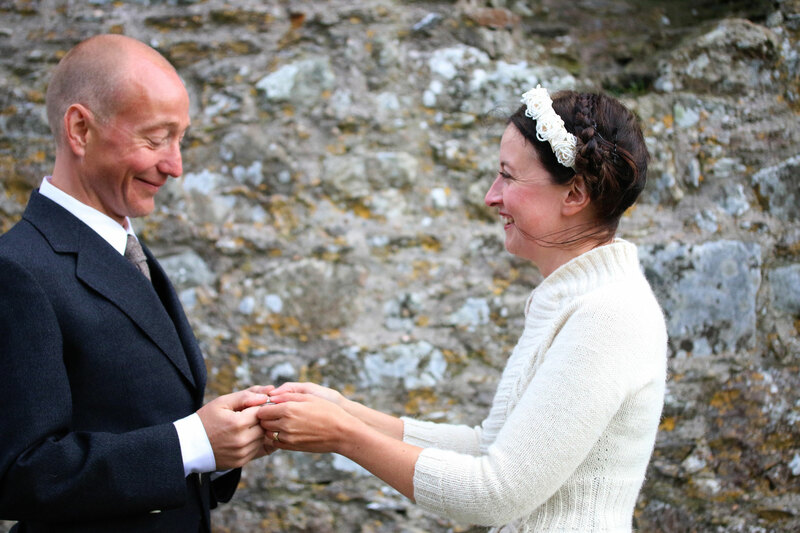 A second attempt – Congratulations (llongyfarchiadau) from Wales, a lovely wedding and beautiful photos. 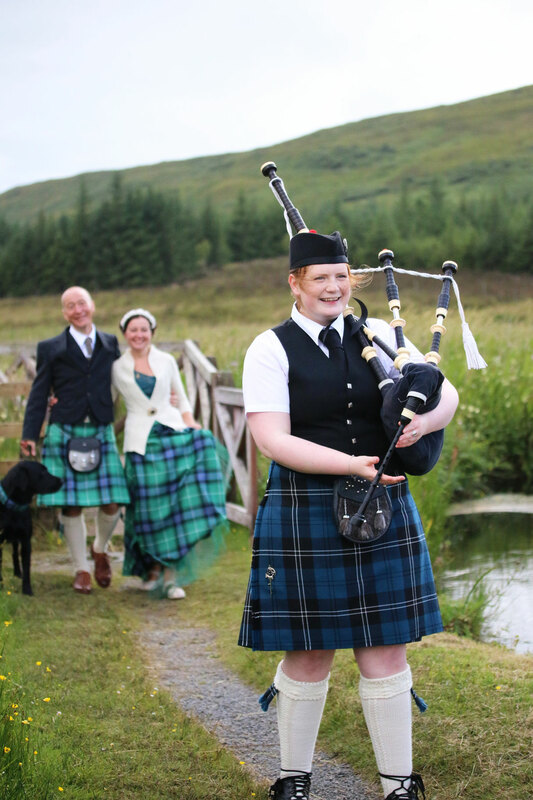 I too chose a tartan I liked for my wedding instead of the rather lurid tartan of my mother’s family – health and happiness to you both and Bruce. Congratulations! You all look so amazing! Wonderful photos! Oh, my! How absolutely beautiful. Wishing the three of you every blessing, now and always!! Thank you for sharing your special and private celebration. May you continue to live in peace, with beauty, health and love in your lives every day. Mazel Tov from Vancouver BC Canada! I am so thrilled for you both and what a wonderful sight to see you in such a beautiful and happy setting. I do hope the rest of your summer is spectacular and congratutlations! What a beautiful wedding! May health and happiness follow you all the days of your lives! Congratulations Kate ! It’s soooooooooooo romantic ! Congratulations! A long and happy life together to you three. Looks like a perfect wedding, beautiful pictures. So beautiful and so deeply moving. 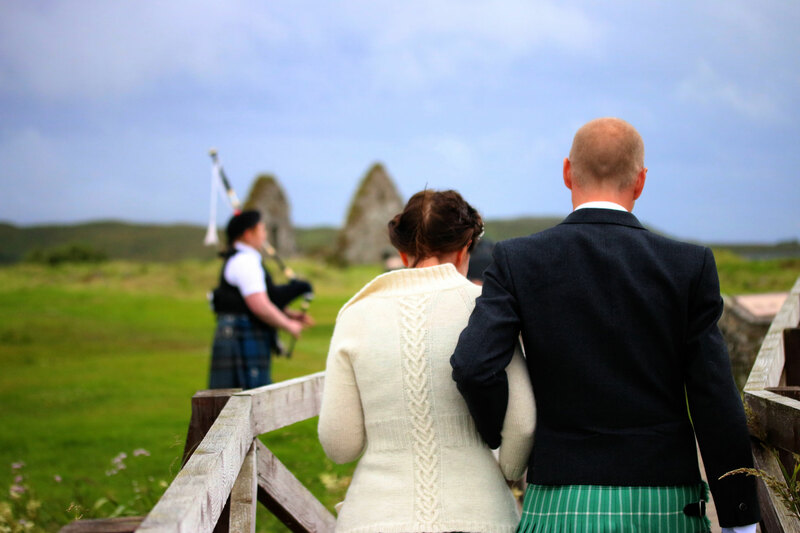 The kilts, the ceremony and the location – breathtaking. Thank you for sharing this wonderful and special day in your lives with us. All the best to you all three from the bottom of my heart. congratulations! what lovely, happy photos! Beautiful! Most heartfelt congratulations to you both. Wishing you much happiness in the years to come. Thank you for sharing such a special event. You two love birds restore my faith in the possibility of love being a lasting joyous experience. I would wish you luck but I think you have discovered something that luck does not bring something predictbale and solid and glorious. And now here I am at my desk with the sniffles. Health, happiness and long life together to you all. Congratulations! It looks *perfect*. Thank you for sharing this radiant day with your readers. Heartfelt blessings upon you(se). I love, love, LOVE all the smiles. You and Tom look positively radiant, and I can see Bruce grinning too. So happy for you that it brings tears to my eyes. Wishing you all the best forever. Gorgeous! Wishing you a very happy ever after! Congratulations and best wishes for a very happy life together! God Bless, Joanne, a fan from Canada. A beautiful day and a beautiful ceremony. Mementos lovingly hand made by you both. Congratulations ans all best wishes! How beautiful you both are and you all look very happy! Congratulations from the deepest of my heart! I love that poem by Yeats. Thank you for sharing this wonderful event on your blog. A lifetime of joy to you both! Congratulations! Thank you for sharing the beautiful pictures of your wedding day. May the love and happiness that is evident on your faces continue throughout your lives together. Fantastic! Like a fairy . God bless you ! We can see love and joy in your faces. May you share a long and beautiful future. Your happines transpires through the lovely pictures, and it touched and warmed my heart. Many blessings to you, may you continue to be happy. Congratulations Kate and Tom! May you have many happy years ahead. Lovely just lovely. Congratulations and many happy years. Just exactly what a wedding should be, solemn and joyful, heartfelt and carefree. You all look radiant! I usually just lurk and always enjoy and learn a lot from your blog. But this time I just had to comment on how gorgeous and happy you all looked. Truly outstanding, fabulous outfits. Huge congratulations to you both – and Bruce. Oooh, Kate…I cried as if I were there! How lovely a day and how beautiful everyone looked! May you have many, many happy years together! Many many congratulations! You both look stunning and the beauty and importance of the occasion shines through in your pictures. Best wishes to you two – and Bruce of course! Sincerest best wishes for a long and happy life. Absolutely gorgeous! Such beautiful joyous pictures. Congratulations! Simply stunning! The joy, happiness, and love just shines through! Congratulations and best wishes to you all! Bruce – you look so handsome! Congratulations and best wishes to you all! You look radiant, Kate! Thank you so much for sharing these beautiful and personal pictures of such an intimate occasion. You all look wonderful and very happy. 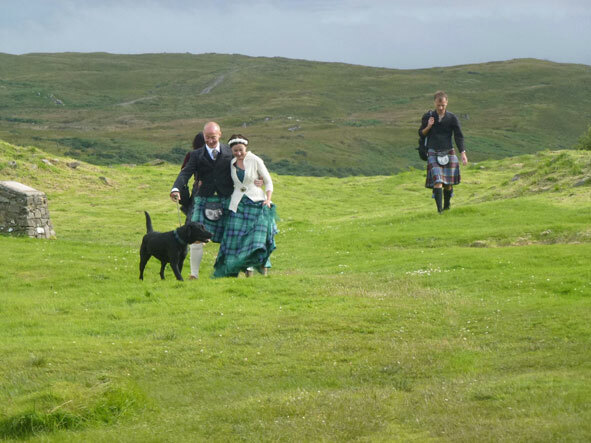 And three cheers for the very sensible law in Scotland which allows you to be married in such a beautiful location – open to the skies. You have made memories to treasure. What a lovely couple on your very special day. And nice of you to share photos of the day. Congrats for a very happy future . . .
Blessings on your union. Your wedding photos brought tears of joy to my eyes. May you live contentedly all the days of your lives. What wonderful pictures. Thank you for sharing with us. Please know that we, your readers, wish you well. Best Wishes to you and Tom! It looks like you had a lovely day! What a beautiful day! Thank you so much for sharing with all of us! Congratulations! Live happily forever and ever! How perfect and beautiful! Thank you for sharing your photos ~ Congratulations and many blessings! Oh my! Congratulations on your marriage! I feel blessed to have this wee peek into your beautiful day! Congratulations ! Wishing you a sparkling and loving life together, and may it last long ! From a long-time reader and first-time commenter, many many congratulations. Your wedding looks simply beautiful and joyful. May your marriage be the same. Sláinte mhaith! Congratulations Kate and Tom! I´m so moved only by looking at the pictures and I don´t even know you in person!! All the best wishes for a happy and long life together! Beautiful :) and I love the button bouquet so much! Did you make that? Can we see more about it? Pretty please! All my best to you and Tom. May God bless you always! congratulations to you both, long years of health and happiness. Hello to Bruce! The photographs of your wedding moved me to tears. 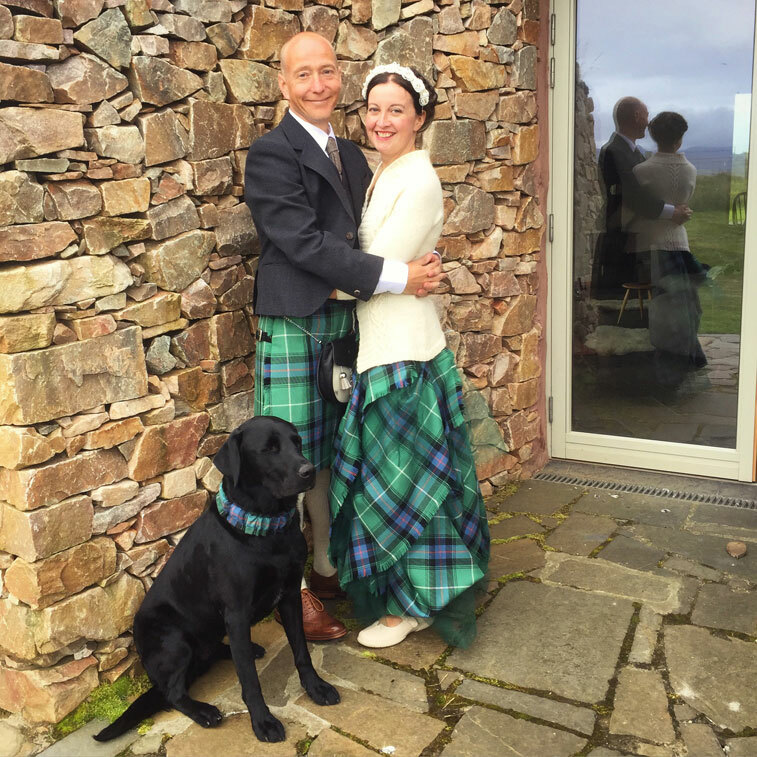 They are so beautiful and everything seems to be in perfect harmony: The landscape, the matching tartans, your stunning cardigan and Tom’s matching hose, that spectacular bouquet of buttons… And Bruce appears to be very proud. And I love the happiness that speaks from your eyes and I wish you many more years of such happiness. Many, many congratulations! I wish for you the continuation and deepening of the partnership, love and happiness that you share with Tom. Beautiful! Kia ora o Aotearoa – best wishes from New Zealand. Congratulations Kate and Tom. May you have a long and happy life together! These are some of the most beautiful wedding photos I have ever seen. I love the handmade outfits. They are gorgeous as is the landscape wedding venue. That last photo is the BEST. Sure glad that Bruce was a part of the wedding. Hope you continue to live your life so well. Congratulations, your happy faces tell your whole love story! Wishing you the best always! Congratulations to you both! Your wedding pictures are beautiful and you both look so happy. So glad Bruce was part of the festivities. Blessings upon you both – and Bruce, of course. Wonderful! It is great to see the love and joy! May those two haunt you all your days together, and may they be many days. How wonderful! I loved the photos, thank you so much for sharing. 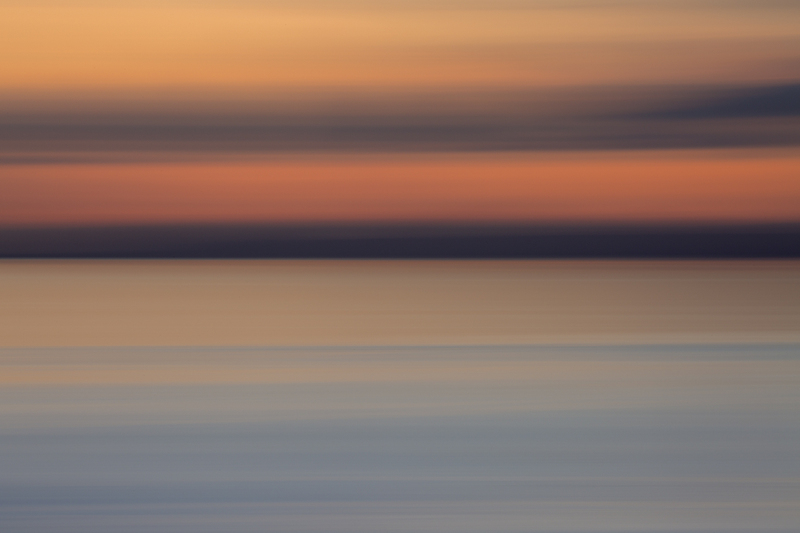 Wonderfully beautiful photos. Enjoy your long happy life together. Congratulations to you! Thank you so much for sharing these beautiful pictures. You look so very, very happy! Best wishes for a long and loving life together! O this made me cry, it made me so happy for you. So very many congratulations to both of you and much joy! What a profoundly beautiful day it seemed for you, both faces radiant with love, Heartiest congratulations to you and your families(of all species!). May your lives be filled with joy, good health and love. May you be a shelter and true home for each other as you go through life! Thank you for sharing this most wonderful of days with all of us! Your photos just ooze happiness! It truly looks like it was a glorious day! Much happiness to the three of you! Thank you for letting us be part of your special celebration. Big congratulations, it looked so intimate, and judging from the expressions on your faces, lived up to expectations. People say marriage doesn’t change anything once you’ve been living with someone for some time, but that is, until they themselves get married! May ye grow old and grey together. What a ovely wedding, congratulations to you both. I love all the crafting, traditional and non-traditional elements, most of which you can both wear again, or enjoy again! Congratulations! Thank you for sharing so much of your special day. 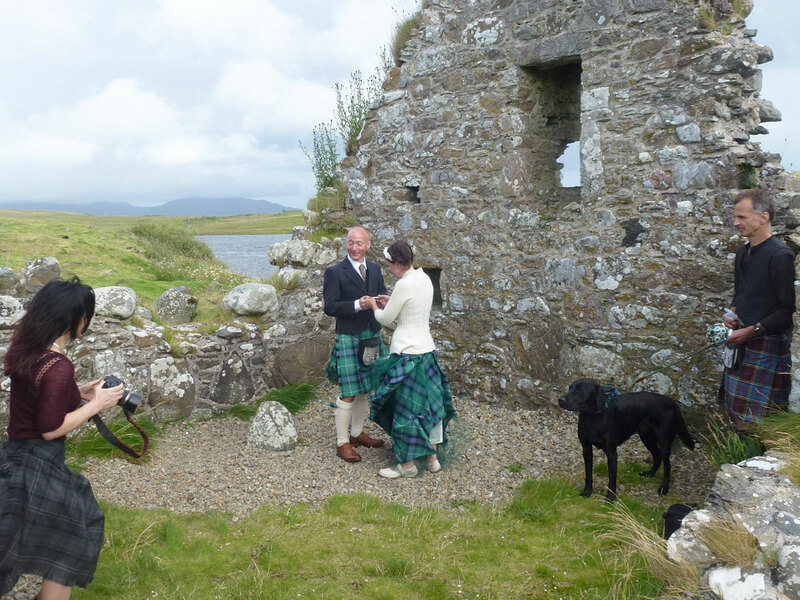 Such happy pictures of a very special day….. sending many congratulations across the waves…. Congratulations! Thank you for sharing your joy with us! 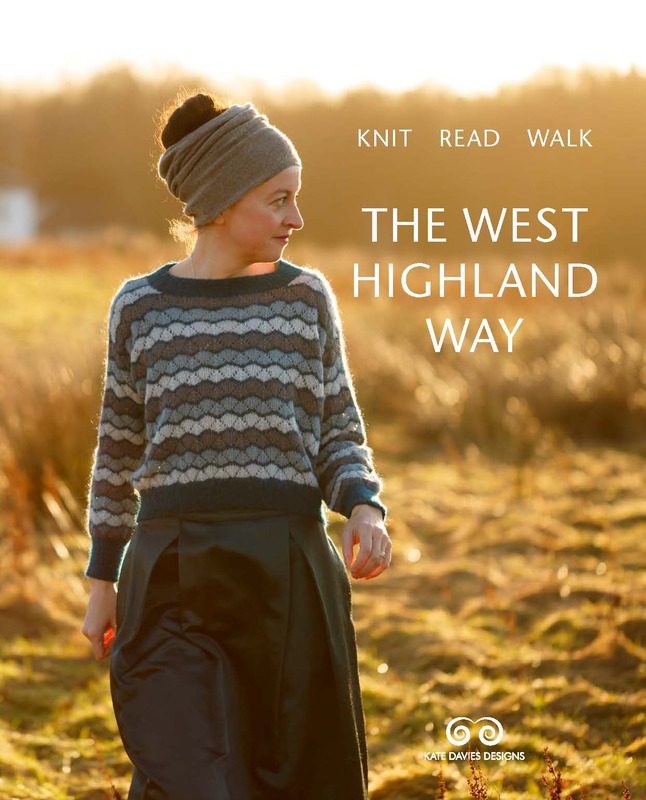 You all look handsome, happy, and like the best advert for “Visit Scotland” ever seen. Maybe there’s a tourist-board market for those pictures! How incredibly beautiful. A real expression of your heritage and aesthetic. I hope you and Tom have many times 16 years together ahead of you! Best wishes for you two and also to Bruce!!! All the pictures are beautiful and your happiness comes through…I was moved to see you two shinning. Congratulations to you both! You all look so radiantly happy & I love that Bruce’s collar matches your plaid! Wishing you an eternity of happiness. Warmest congratulations on your wedding! Truly a day of days! Warmest congratulations to you both on your wedding. Beautiful wedding clothes! Awesome landscape setting for such an important day. A day of days! Love is as strong as death. What a beautiful, meaningful wedding. I wish you many, many years of happiness and love! Everything looks perfect, beautiful, and bathed in love. Best wishes to you both for a lifetime of happiness! And pat-pat to the always-handsome Bruce. I don’t think I have ever seen more beautiful wedding pictures, nor so happy a couple. What a beautiful wedding. I have been so looking forward to seeing what you were making and, I have to say, you both look stunning – gorgeous outfits but the happiness in the pics is wonderful! Here’s to many more amazing days together – congratulations! Congratulations Tom and Kate (and Bruce!) may your lives be blessed with health, wealth and happiness beyond measure! Thank you so much for sharing these more than great pictures! Everything is so beautiful. Many, many congratulations to you both. Thank you for sharing with us. You look absolutely stunning (as does the location and your close friends) and your happiness shines through. May you have many happy years together. A beautiful and special wedding day. Much happiness and many congratulations. I have never commented before, but today, I simply must, because I have been reading your blog for the last two years at least. I am so happy for both of you. You look so happy and this is probably one of the most beautiful weddings I will ever read/hear about. I wish you both happiness and health and lots of luck and all the best (straight from the heart). Beautiful in every way. Many congratulations! Wishing you a lifetime of wedded bliss! Thank you for so generously sharing your special day. Congratulations! Thank you for sharing your very personal wedding with the rest of us. 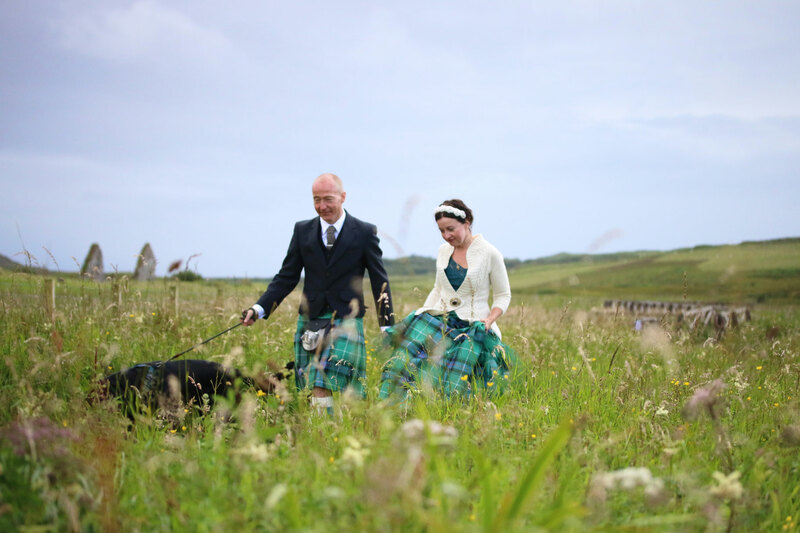 Everything looked perfect–from the bouquet to the dog collar to the gorgeous hand knits!! Congratulations; you both looked beautiful and happy. so incredibly romantic, beautiful, moving, wish you a long life full of joy ! and I have just a subsidiary question, what tartan are you wearing ? Congratulations. The photos are lovely, and all three of you look so happy and relaxed – well, Bruce looks as if he doesn’t understand what all the fuss is about! Islay is our favourite place too. My husband drew the black pen drawings of Finlaggan which are used by the Trust. Wow, Jennifer – I just love those drawings – the trust kindly gave us one on a card for our wedding. Your wedding looks perfect! I’m glad Bruce was included. Many, many happy wishes to the three of you. Oh and to be there in spirit was amazing! Many congratulations and wishes for long and happy years together, from a daily reader in Nebraska, USA! Love the photos, though I seem to have gotten something in my eye by about the fifth picture. Odd, that. ;^) And Bruce was exceedingly handsome and I’m sure he fulfilled his role perfectly. Congratulations! CONGRATULATIONS…!!! May you be blessed with abundant happiness and robust health beyond what you can imagine…!! Bless you BOTH….!! The joy pours forth from your wedding photographs. Thank you for sharing them. Best wishes and much happiness from Rivrside, California! Thank you for sharing these photos of your special day, you both look so full of joy. Wish you every happiness. Totally wonderful, many, many congratulations. Many congratulations, what a lovely wedding! All good things always to you and yours, congratulations. Your post is a pure Joy. Thank you for sharing. PS I love your bouquet. Beautiful, congratulations, you all look wonderful. Love those Yeats lines. Beautifully done! Congrats and best wishes! I cried. I was so touched I had to show my hubby the photos and he didn’t get why I was so moved. But he hasn’t been following your blog since 2008, and he hasn’t travelled with you the trail you have walked. It was all perfect. Your outfits, the bouquet, the Yeats, the smiles, the joy we can all feel. Thanks so much for sharing your special day with us! Congratulations and the very best of wishes to you all, including Bruce, of course! The Yeats poem has long been one of my favorites. Thank you so much for sharing your beautiful day and ceremony with all of us. All the best to you – I toast your future happiness! You both look absolutely radiant, and Bruce looking his bestest as well! This is a dream wedding, so scaled down to what it should be all about, love, trust and beauty. Congratulations, I am so happy for you both! I love everything about your wedding! I especially love your dress and cardigan and your hairpiece and your bouquet and Tom looks so smashing. Bruce looked so happy too, I think he was smiling from ear to ear. Thank your for sharing your special day! What a beautiful marriage! Thank you so much for the pictures! Congratulations! Congratulations and all the love in the world be with you. Aahh! So that’s what ‘radiance’ means. It shines out in every photo. God bless you, both – all of your days. Congratulations and blessings to you. You all look amazing! Congratulations, it looks like it was a wonderful day. Wonderful photographs. Everything a wedding day should be – peaceful, personal and full of love and joy. May there be many more days of joy to follow. So lovely! The beauty of the landscape truly brings out the love and devotion in both of your faces. Congratulations to both of you, and Bruce as well! All the best from our isle to yours. So wonderful of you to share this with us. Many congratulations! Congratulations , what a perfect day , and a perfect couple .You both look wonderfully happy …..
Congratulations and may you both be showered with blessings! Congratulations! I teared up . . . you both look wonderful, and I love how special you made the day for yourselves. Congratulations and best wishes to you and Tom and may your lives be healthy and happy. I love your wedding outfits and that you both look so happy and full of love. Beautiful, you look so happy and pretty. Congratulations from Amsterdam. Many congratulations, thank you for sharing. Everything was perfect and you all looked perfectly happy! Wishing you much love and happiness that you all deserve. Absolutely stunning combination of people, beasts and places. Your bond was beautifully portrayed in your handiwork as well. I cannot name the tartan, but think it is an island version of one. When you have come down to earth, I would love to know the name. Absolutely lovely! Congratulations to you all. All three of you (naturally I.m including Bruce here!) look fantastic – & so happy. Thank you for sharing the images (& some of the beautiful words) of your very special day with us. They brought a tear to the eye! Wishing you both many more years of happiness together. So lovely, thank you for sharing these memories of such a special day. Even my very favourite poem too. Thank you for sharing your magical day filled with so much beauty, love and joy! In the words of my people,( all my people)… Geluk! Congratulations! Mazel Tov! Adding to the chorus my congratulations. It looks like a beautiful wedding! So wonderful and sweet. My congratulations to both of you – what a special wedding day! Your & Tom’s joy is so evident in these photos, it’s very moving! Wishing you many long years of happiness and many blessings! How wonderful! Both of you look so happy and I’m glad that the day was so clear and beautiful for you. May the three of you be showered with blessings until death do you part! Thank you for sharing such a precious time of your life with us. Beyond happy for you! Your day looks to have turned out absolutely perfect! So very lovely. What a beautiful day to remember for always. Congratulations!! So wonderful of you both to share your lovely day–and your happiness as a couple–with all of us! Congratulations and many, many happy years together! Congratulations, you all look so happy. You wedding clothes are so gorgeous. All the best for you three. Thank you for sharing your very special day with us. So, so beautiful….and inspiring. Warmest congratulations! Your day looks lovely in every way. Everything looks picture perfect and every detail exquisite! The smiles on your faces and your eyes full of love say all that needs to be said. Wishing you both and Bruce years of bliss, love, quiet times, and togetherness! Warmest congratulations! So lovely in every way. Many Blessing to such a lovely Three some . I feel like I was there. Tears at the beautiful words and photos. Lang may your Lam reek! Lovely! All the best to you. Never before seen so much happiness reflected on the groom’s face, blissful joy! Oh such a happy wife! Blessings on your marriage. Grateful to you both for sharing your life, love and story so generously. Many congratulations, good wishes and good health for the future. Thank you for sharing such a special moment. Just beautiful. Congratulations to you both, it looked a beautiful day. Blessings, many blessings to you both. Congratulations! Perfect place, everybody beautiful. Wishing you all health & happiness as I raise my glass of Ardbeg. This was beautiful. Congratulations and thank you for sharing this lovely day. beautiful and joyful. May you have many many happy years together. Though the pictures did not clearly show, I suspect the pattern on Tom’s wedding hose match the cabling on the back of your sweater. Lovely detail. Also lovely detail that Bruce’s collar had a matching plaid to your wedding attire. I can feel the love! Blessings to you and Tom. A perfect wedding in a perfect setting! Extra special thumbs up to Bruce, of course. Wishing you many years of health and happiness together! Congratulations. What a beautiful wedding. 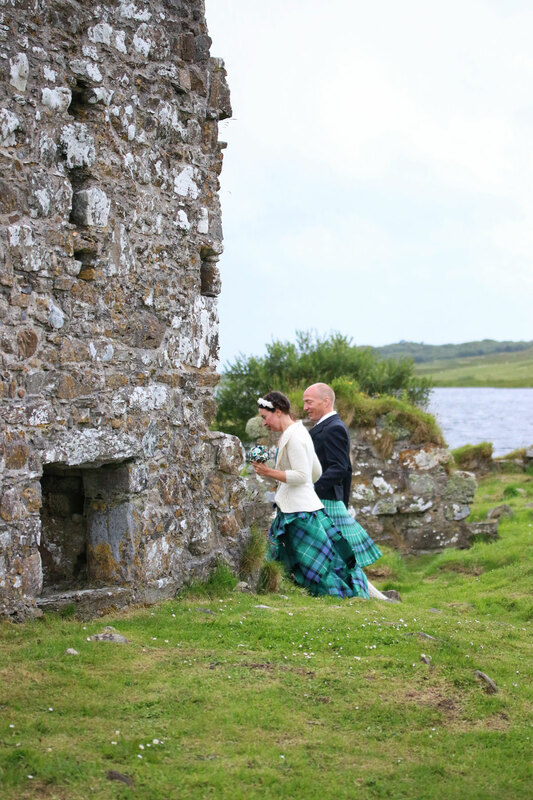 The photos are wonderful – I feel like it’s one of the best weddings I’ve been to! All the very best to you. Such a beautiful presentation of your special day. Made me feel like I was there celebrating the moment with you all. Wishing you both continued happiness and health in your life together. Thank you so much for sharing. Thank you for so generously sharing the day with all of us, your fans and admirers. Oh what a happy day. Peace and joy for you both. So personal and intimate – how lovely lovely lovely! Thank you both for sharing, and much health and happiness ahead! Congratulations! Many, many happy returns of the day! Your last photo reminds me of a beautiful wedding invite I received – an artist had done a detailed sketch of the couples home – but there was no doorknob on the door. The artist explained – the heart can only be opened from within. Thank you both (and Bruce of course!) for such open hearts. Congratulations and best wishes! I love the matching plaid, including Bruce! What a beautiful, simple ceremony. Happy tears!! What a life you’ve woven together! So glad to be able share your beautiful day! Many best wishes to you! 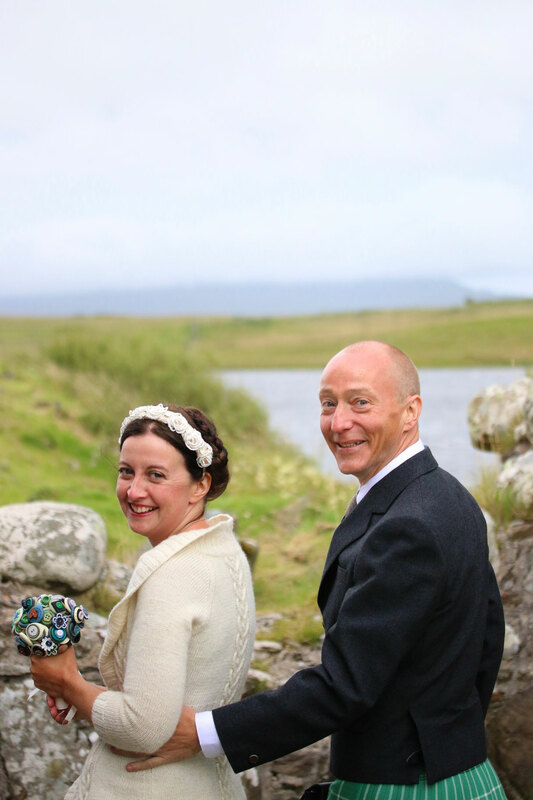 Thank you for sharing your lovely wedding pictures, they are gorgeous! Congratulations! My SO and I will be doing something similar and small this year too (but here in Canada). 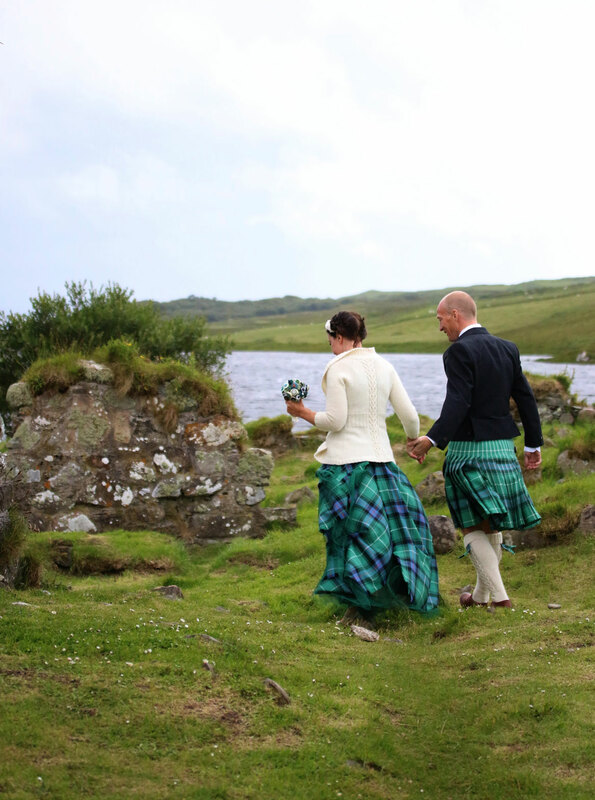 LOVE your dress – by Scottesque? Great bouquet – everything and everyone looks wonderful. Many wishes for many wonderful years together. I’m glad I never stopped believing in fairy tales——you, my dear, and your Tom + Bruce—have set the stage for more joy and love in this big old modern world. OHHHHHHH, Blessings and congratulations many times over ! 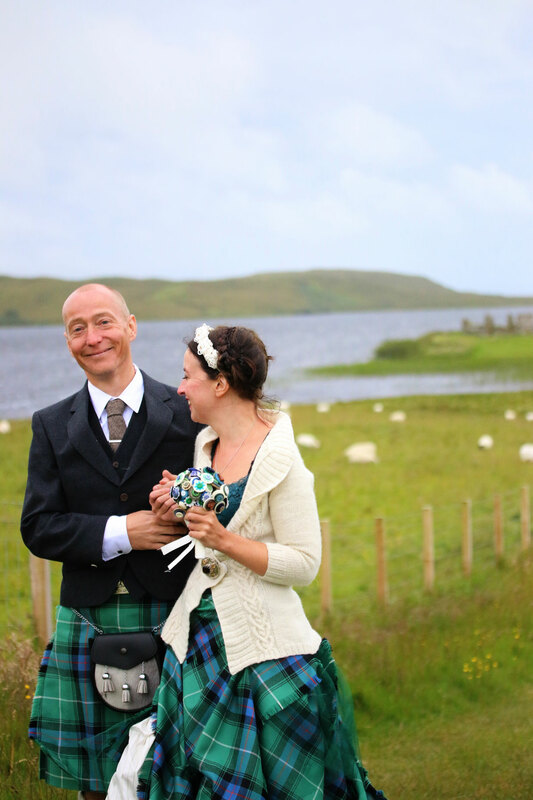 You both look so amazing, radiant from the inside out :) Cardigan/hose and bouquet………..and the tartans……..just perfect!!! Thank you for the pictures. Félicitations et tous mes meilleurs vœux de bonheur! (You may guess what it means :-). Thank you for these beautiful pics and all the best. Long life and much happiness to you both. congratulations on your wedding, you both look amazing and so very happy. What a lovely spot to be married in and how kind of the weather to bless you as well. Wishing you both many many happy years together, gardening and walking and running and knitting and looking after Bruce. You look wonderfully happy. Best wishes and many congratulations to you both. Also, Bruce’s matching collar is rather fabulous. Thankyou so much for sharing your beautiful wedding. This looks like a dream come true…. Much happiness to you and Tom. Congratulations. You look wonderfully happy – best wishes and many congratulations to you both. And I love Bruce’s spiffy matching collar. Many congratulations! You both look stunning and so does your best couple. Thank you for sharing. May you live long and happily together. a tear in me eye! So beautiful and deeply moving. Congratulations! So much love and joy jumping out of these beautiful photographs. Thank you for sharing your day, and congratulations to you both. 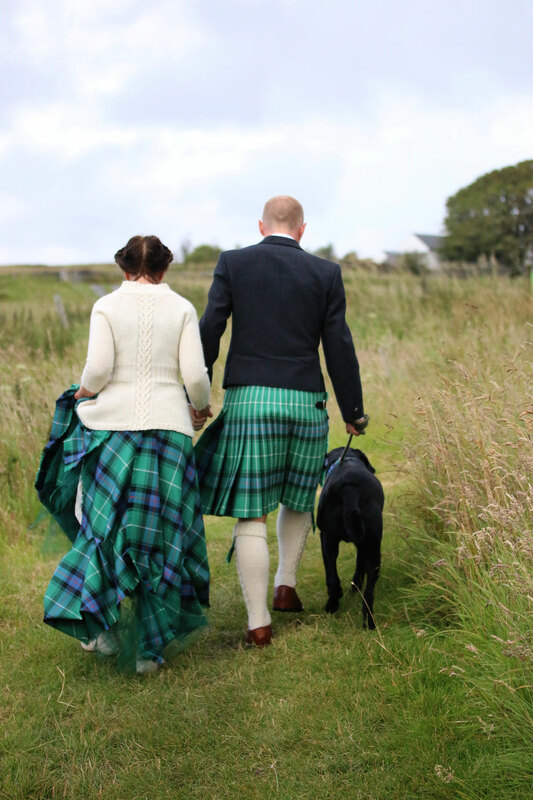 Love all the details – the tartan, the button bouquet, Bruce’s collar, your knitted jacket, Tom’s stockings… All stunning! Congratulations to you both. What wonderful photos and I loved your outfits. What a sweater Kate! And the presence of Bruce in such a setting made it all the more special. Thank you so much for sharing with us all. Congratulations and thank you for sharing your lovely wedding. May you have a long and happy life together. I’m looking forward from a post from Bruce on how it all went. It moved me to tears of happiness to see your perfect day. Congratulations to you & Tom on your lovely day. Pipes & kilts & friends & wooly things. What a perfect day! Thank you for sharing it with us. A story told in a handful of pictures that requires a minimum of words to express the emotions of the day. I feel my heart welling up at the happiness portrayed. Best wishes to all for many well-lived years together. Oh, wow, I’m crying! Its so so beautiful – all of you and the gorgeousness around you. Love and congratulations! Stunning wedding pics, you all look gorgeous, and so happy! I can’t imagine a lovelier wedding. Congratulations to you both! Congratulations! I love both your outfits. 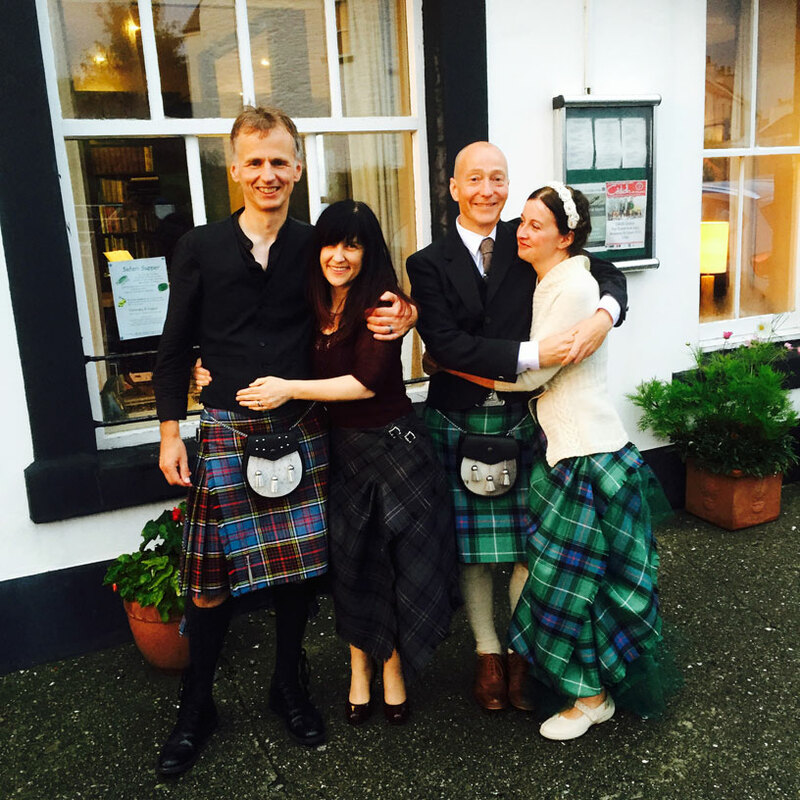 The tartan is beautiful and your skirt stunning! I am glad that you had such a lovely day. This just brought such wonderful tears of joy to my eyes – how beautiful and timeless. Thank you so much for sharing your very special day with all of us! Peace and blessings to the three of you – may you continue to spin your beautiful dreams together. Just beautiful! Best wishes and thanks so much for sharing images of such a special day. Congratulations Kate, Tom and Bruce! Those were the most breathtakingly beautiful wedding photos I have ever seen. Your outfits, the scenery, all of it. I must confess to having a few tears running down my cheeks. Much happiness to both of you, and of course, also to Bruce. Blessings to both of you for a long and beautiful together. Wonderful, a perfect plan and setting – took me back! Many congratulations for now and the future. Congratulations. Thank you for the photos of your exquisitely beautiful wedding. Best wishes for a long, joyful life together. 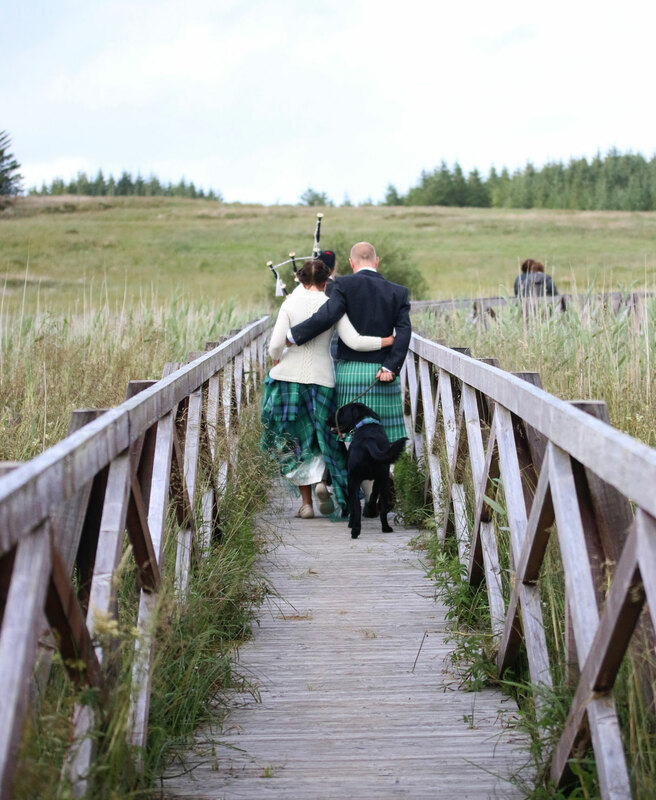 I generally don’t consider myself a romantic, but these photos made me tear up – I don’t know if it’s the idea of the occasion, or Scotland, or just how wonderful you all looked. Just Lovely. Thank you for sharing these. Congratulations! The love and joy in both of your eyes shines through in each photo. I wish you continued happiness together for all the days of your lives. You live in the most magnificient country. So many wonderful pictures in that fairytale landscape! Both wedding outfits are truly amazing – such a clever contemporary interpretation of ancestral traditions! Tous mes voeux de bonheur! Bruce, how handsome you look. Quite dapper. Oh, and the couple you are with, they’re not bad either! Seriously, congrats to you all. As they say, ” lang may yer lum reek”. What a lovely day! Congratulations to you both and I wish you many years of health and happiness. Congratulations! I have never seen such a beautiful, meaningful and romantic wedding where absolutely everything is so full of heart. And the weather blessed you too! I am not a fan of weddings normally but this has shown that it can be done in a better way. My very best wishes to you both. What a very lovely wedding. Congratulations and may you have many happy years together. Such beautiful knitted garments and clothing, and colors, love your bouquet. You both glow in the lovely photographs. Congratulations and much happiness. I adore wedding pictures, these were the best! 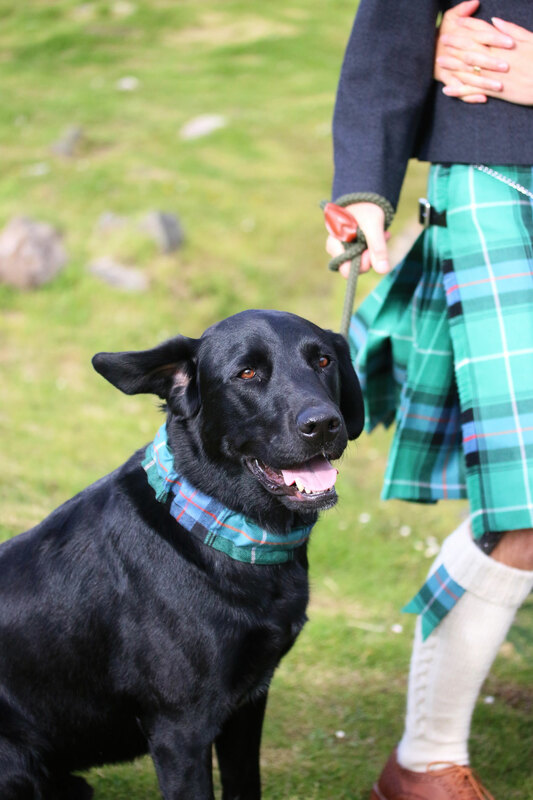 beautiful, the pieces you knit outstanding , your bouquet the tartans, even Bruce’s collar!! I actually have tears in my eyes. I am so very happy for you both, wonderful, wonderful! Beautiful photographs of the loveliest of weddings. Continued happy days ahead. What a lovely wedding! Gorgeous photos. Much happiness and great joy! Walk together in love and beauty. Huge congratulations on your wedding! I wish you all the happiness and love! You both look so happy, relaxed and beautiful. Thankyou for sharing this day with us! Lovely photos of a lovely day. Congratulations and best wishes for your (continued) lives together! congratulations! thank you so much for sharing your personal day with us! you both look wonderful and just love your ‘matching outfit’ – absolutely love the button bouquet. Congratulations and Best Wishes for your future as husband and wife. Wow – everything looks spectacular and considered. Your sweater is beautifully designed and constructed to compliment your ensemble. Tom looks dapper and Bruce adopted an appropriately solemn demeanor. Pretty smashing best couple, too. Many good wishes for a long married life full of adventure and happiness. I’ve been following your wedding journey breathlessly since you started posting about it and I read all the wishes and congratulations and wonderful words from around the world. Everything about your celebration, down to the least little detail has been filled with such heartfelt beauty. I echo everyone’s words here, and add my own love and blessings to both of you. Thank you for sharing your life with me. It makes my own life richer for it. Every happiness to you both. You both looked amazing! Congratulations to you both (& Bruce)! Best wishes for a long, happy life together. Congratulations (also from Canada)! What a beautiful wedding and so very personal to you both. Love your special cardigan and matching socks, and your bouquet is so charming. Wonderful photos which capture your happiness. Thank you for letting us into your special day. Bruce looks as if he understands and shares the joy. Beautiful photos…I loved the tradition and the parts that you made uniquely you (and Tom and Bruce). Congratulations from Canada! There is so much joy in this I am bursting over my morning coffee. Thank you for sharing, Kate, and the very very best to you all for your continued happiness together. Oh, Oh, OH! Those hose, that jacket!!! Matching tartans! A bouquet of BUTTONS?! Could this wedding possibly be any more meaningful, unique, gorgeous and romantic? I think not! THANK YOU, so much, Kate, for not keeping us waiting too long for pictures, and mostly for sharing this most personal day with your readers. It means a lot to feel “included”. All the very very best to you both.! Congratulations! What a beautiful place to have the ceremony…. So beautiful !! I feel as though I could hear the pipes playing as the grasses swayed. Thank you so much for sharing and many blessings to you both. So very lovely! May you indeed have a long life together, and always in such lovely places. Beauty all around. Profound. Thank you for sharing this lovely day. Congratulations from Australia! Sending heartfelt wishes of good health, much laughter and easy roads to travel. God Bless. Simply beautiful! Thank you Kate, for sharing your special day with us. Wishing you many blessings for a long and happy union. i had to wish you both the very best (and bruce, of course). such an amazing journey, and such a beautiful middle to your life. mature love’s got it all over the kiddie stuff! How beautiful, the backdrop, the happiness of you all. Many congratulations. Soooo beautiful, I wish you all the happiness and love. Thank you for the wedding photos. Thank you for sharing these touching photos. What a lovely wedding celebration in every way. My heartfelt wishes for many happy years ahead. congratulations – and thank you for sharing. What a beautiful wedding for two beautiful people. Gorgeous! You all looked wonderful & I believe I could hear a faint whiff of piping music here across the sea. Best wishes for many, many years of happiness. We toasted you appropriately — I’m trying to attach the photo, but not getting much cooperation. Congratulations from afar, anway! What a truly beautiful wedding, you both looked amazing. Such an a wonderful setting too and Bruce, what a star! stunning! absolutely stunning. many blessings to you both for a long, happy and healthy life filled with love and wonder! thank you so much for sharing your day with us. congratulations! I am so happy for you and thank you for sharing your day with us. luckily, Tom has the larger feet! Thank you for sharing your happiness with us. God bless you. You look so happy… I am so very glad for the both of you! My heartfelt congratulations! Splendid! Long may your marriage bring you joy. Congratulations to you both. May you have many many more beautiful days. Lovely, simply beautiful! Wiping away a tear and wishing you many blissful years together. So happy for you both. From all the way over here it fills me with gladness to see how your love has endured over the years I have followed your blog. Obviously it’s the Scottish blood. These are the most beautiful wedding pictures I have seen in a while, and that’s a tough one because weddings are always beautiful! Congratulations and may you have many many joyful years ahead. Oh my, you did not have to tell us you were both happy, I have never seen such loving and content with each other faces. Long life to you both. Ah! So wonderful. Congratulations to you both and to Bruce . Lucky chap to be in a home with such love. I adore your dress! And Tom’s stocking are perfection! Thank you so much for sharing, you all look so beautiful, what a wonderful memory for you both and Bruce, I’m so happy for you all. Merci de nous faire partager votre bonheur. Les photos sont magnifiques, vous êtes beaux, les paysages sont grandioses… Tous mes vœux de bonheur. Kate vous êtes magnifique .Mes meilleurs veux de bonheur à vous deux,sans oublier votre toutou. Wonderful pictures, thank you. You both look so very happy. Congratulations and many blessings in the future. Beautiful, you all look very happy. It brought tears to my eyes, thank you so much for sharing. Beautiful and deeply moving. Congrats! 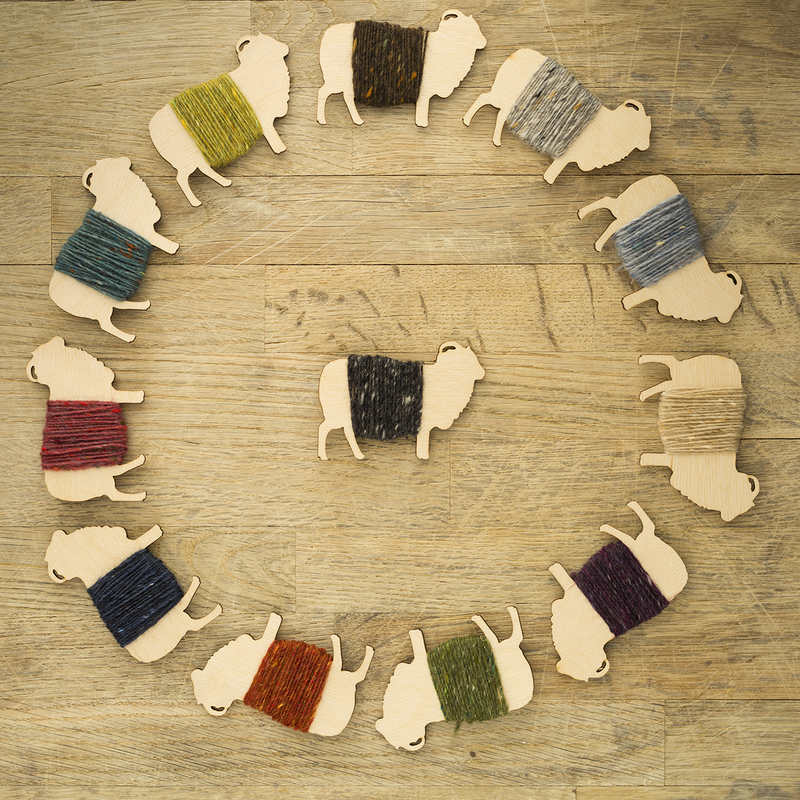 Did you knit your cardigan? Gorgeous!